South Tyneside Council is being recognised as one of the best organisations in the UK for the support it offers to the armed forces community. The Council has won a prestigious Gold award in the Armed Forces Covenant Employer Recognition Scheme (ERS). The awards are given by the Ministry of Defence to employers and organisations that demonstrate their support to military personnel. To qualify for a Gold Award, employers must not only pledge their support, but demonstrate their commitment to Defence personnel and become advocates, inspiring other organisations to follow their lead. South Tyneside is one of a small number of local authorities to achieve the Gold Award and one of 50 organisations and businesses to be announced this week. The Council secured Silver in 2016. 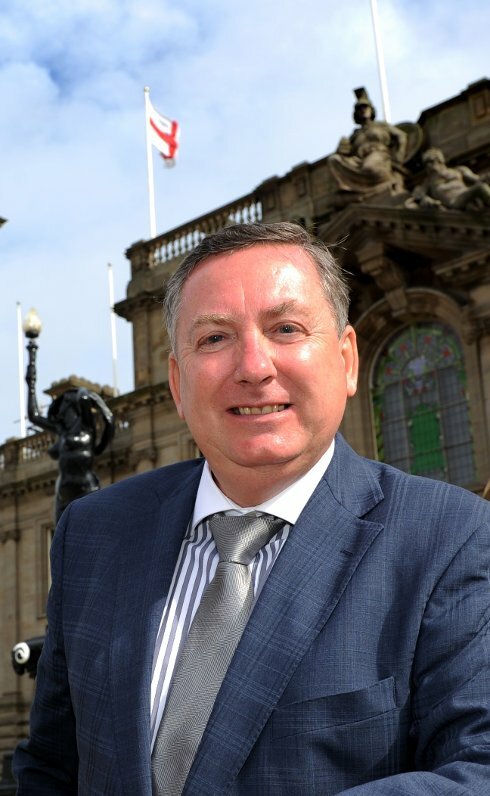 Councillor Ed Malcolm, Chairman of South Tyneside Armed Forces Forum, said: "To be recognised by the Ministry of Defence with the coveted gold award really is a tremendous achievement. "These awards are a real badge of honour and are not given out lightly. This award highlights that our efforts go above and beyond when it comes to supporting serving and ex-service personnel and their families and ensuring they are treated with fairness and respect in the communities they live. "However we are by no means complacent and remain dedicated to doing all we can to support our armed forces community and make a difference to their lives. "Through campaigns, initiatives and events across the Borough we continue to help raise the profile of the vital role of the armed forces and recognise the huge sacrifices that they make. Our commitment is also demonstrated in the wealth of work we do in helping to make the transition of coming out of the forces and settling back to civilian life as smooth as possible. This could be anything from support with housing and healthcare to employment or benefits." South Tyneside Council signed the Armed Services Covenant pledge in December 2011 and since then has carried out a significant amount of work to live up to the commitment. This includes embedding covenant promises into the Council's constitution and driving forward armed forces friendly policies and coordinated partnership initiatives. Gary McLafferty, Director of Engagement at the Ministry of Defence, said: "My congratulations go to South Tyneside Council who have been awarded the Employer Recognition Scheme Gold Award along with five other organisations within the North East. "They have turned their willingness to make a difference to our Armed Forces into effective programmes of support. Their actions mean that our veterans, the wounded injured and sick, our Reservists and their families are not disadvantaged by their military service and have the same opportunities as everyone else. "Their commitment is highly valued and is at the heart of all that can be achieved in every part of the country through the Armed Forces Covenant." The Minister for Defence People and Veterans Tobias Ellwood added: "The breadth and diversity of this year's winners shows how business support for the Armed Forces continues to flourish. Their commitment is a testament to the fantastic contribution our serving personnel, veterans and their families can make to any organisation. "We all have a role to play in ensuring that the Armed Forces community is not disadvantaged by service, and each of these employers is a setting an example as meaningful advocates for those protecting the nation." For information about support for the Armed Forces in South Tyneside visit www.southtyneside.gov.uk/armedforces or call South Tyneside Council's Customer Contact Centre, on (0191) 427 7000, where staff can signpost to the relevant organisation or team. South Tyneside Council pledged its commitment to the Armed Forces back in December 2011 when it signed the official Armed Services Community Covenant - a voluntary statement of mutual support between the civilian and local armed forces communities. South Tyneside Armed Forces Forum was later set up in 2012 between the Council and Armed Forces with representation from local agencies and the voluntary and business sectors, to take forward actions agreed under the Community Covenant. The Council employs a dedicated outreach worker acting as a key worker for ex-servicement, reservists and their families with housing, healthcare and welfare as well as helping to find employment. There is also a weekly drop in (NAAFI Break) service for ex-military and reservists to get information and advice from a wide range of organisations. The Council, and its housing partner South Tyneside Homes, which already holds the Silver Employer Recognition Award, recently announced that veterans will benefit from their own dedicated 'move-on' accommodation in the Borough when they leave the forces. Every year the Council celebrates the armed forces community through a series of commemoration and community events. This includes Remembrance and Anzac events as well as the annual Armed Forces Day featuring a military parade and family fun day in South Shields. The Council has proud history of commemorating the Armed Forces and only earlier this year unveiled plaques to mark the 100th anniversaries of Thomas Young and Joseph Henry Collin receiving the prestigious Victoria Cross for acts of gallantry during World War II.